To the skeptic, the Bible doesn’t make much sense and is full of discrepancies brought by man. However, for the believer, once you get beyond a surface level of knowledge concerning the Bible, you soon see how everything is intricately pieced together and that God’s fingerprints are indeed riddled all over it. A not too often talked about concept within the Bible would be concerning DNA and a “pure” human gene pool. Again, to those who either aren’t familiar with the Bible or are and haven’t looked deeply into what it says, this idea might be a first for you, but the Bible does in fact talk about genetic manipulation and the consequences of it. Let’s take a deeper look into what I’m talking about specifically using Noah and the Flood as a basis for this. One of the more well known stories in the Bible is the story of Noah and the flood. To summarize, after God created the world and Adam and Eve rebelled against God, we skip to a time where the earth is heavily populated. However, God makes it clear that those dwelling on the earth just have continuous evil in their hearts and the earth is filled with violence. Due to this, God decides to wipe out the earth BUT he chooses one family to save out of it. This is Noah’s family. He instructs Noah to build a large boat for his family and 2 of every kind of animal. After Noah and the animals are safe within the ark, God floods the world killing every living being on it. Once this ends, he instructs Noah and his family to repopulate the earth to start over again (Genesis 6 – Genesis 9:19). From someone outside looking in, this is a story of an angry God that decides to commit genocide on a worldwide scale simply because people are being “bad” or are committing sins and he doesnt like that. This may seem like a conflicting aspect to the Bible for non-Christians because you’re told that God is love and he loves humanity which is displayed very well in the New Testament but in the Old Testament we have an angry God that only likes a select group of people. On the surface this looks like a huge contradiction to who the God of the Bible is. Although this is a fair assumption when one looks at this story it isn’t the correct one because it’s only looking at this story on a surface level. An important key to truly piecing together why this flood happened is DNA or a “pure” human gene pool. Many people that use the flood story as an argument against the notion of an all loving God don’t understand what the Bible is actually saying and for the most part don’t really care to. The cause for the flood truly starts at the garden of Eden but I’ll go into that later. For now I want to focus on the cause for the evil and violence the earth experiences at this time and who’s behind it. Genesis 6:1-2 says, “Now it came to pass, when men began to multiply on the face of the earth, and daughters were born to them, that the sons of God saw the daughters of men, that they were beautiful; and they took wives for themselves of all whom they chose”. This passage tells us that the “sons of God” (known as “bene ha elohim” in Hebrew) decided to have a lot of wives due to their beauty. The most important part here being who are the sons of God? “Now there was a day when the sons of God came to present themselves before the LORD, and Satan also came among them”, (Job 1:6). “Again there was a day when the sons of God came to present themselves before the Lord, and Satan came also among them to present himself before the Lord” (Job 2:1). “Where wast thou when I laid the foundations of the earth? declare, if thou hast understanding. Who hath laid the measures thereof, if thou knowest? or who hath stretched the line upon it? Whereupon are the foundations thereof fastened? or who laid the corner stone thereof; When the morning stars sang together, and all the sons of God shouted for joy?” (Job 38:4-7). In this passage from the book of Job, God is questioning Job if he has knowledge and understanding of the creation process and how God created things. He asks Job where was he when the foundations of the earth were fastened and when the corner stone was laid and the “sons of God” shouted for joy at witnessing these acts of creation. From these verses, the Bible clearly shows us that these “sons of God” are not human as they existed before even the creation of the earth and Genesis makes it clear that the earth was created after heaven and humans also were at the end of the creation process (Genesis 1). These 2 separate passages states that the angels, at some point in time in the distant past, left their original home (heaven) and due to their actions of sexual immorality and going after “strange flesh” are now being chained waiting for judgement. This idea that the angels did in fact commit sexual sins of some kind is supported by the fact that Jude ties in the angels that left their “proper abode” to Sodom and Gomorrah and to their sexual sins which they’re known for stating “as Sodom and Gomorrah, and the cities around them in a similar manner to these. II Peter also makes it clear that these angels sinned against God, a sin not stated in this passage but is later expanded upon in Jude using Sodom and Gomorrah as a reference to piece it together. If this wasn’t the case, the link between these verses wouldn’t make sense as we wouldnt know why the angels left their original home and what they did to warrant the punishment they recieved. “And Ishbibenob, which was of the sons of the giant, the weight of whose spear weighed three hundred shekels of brass in weight, he being girded with a new sword, thought to have slain David…And it came to pass after this, that there was again a battle with the Philistines at Gob: then Sibbechai the Hushathite slew Saph, which was of the sons of the giant. And there was again a battle in Gob with the Philistines, where Elhanan the son of Jaareoregim, a Bethlehemite, slew the brother of Goliath the Gittite, the staff of whose spear was like a weaver’s beam. And there was yet a battle in Gath, where was a man of great stature, that had on every hand six fingers, and on every foot six toes, four and twenty in number; and he also was born to the giant…These four were born to the giant in Gath, and fell by the hand of David, and by the hand of his servants” (2 Samuel 21:16, 18-20, 22). “And the Lord spake unto Moses, saying, Send thou men, that they may search the land of Canaan, which I give unto the children of Israel: of every tribe of their fathers shall ye send a man, every one a ruler among them…So they went up, and searched the land from the wilderness of Zin unto Rehob, as men come to Hamath…And they told him, and said, We came unto the land whither thou sentest us, and surely it floweth with milk and honey; and this is the fruit of it. Nevertheless the people be strong that dwell in the land, and the cities are walled, and very great: and moreover we saw the children of Anak there…And they brought up an evil report of the land which they had searched unto the children of Israel, saying, The land, through which we have gone to search it, is a land that eateth up the inhabitants thereof; and all the people that we saw in it are men of a great stature. And there we saw the giants, the sons of Anak, which come of the giants: and we were in our own sight as grasshoppers, and so we were in their sight.” (Numbers 13:1–2; 21; 27–28; 32–33). “That also was accounted a land of giants: giants dwelt therein in old time; and the Ammonites call them Zamzummims; A people great, and many, and tall, as the Anakims…” (Deuteronomy 2:20-21). “And the Hittites, and the Perizzites, and the Rephaims…” (Genesis 15:20). Those are only a couple passages where giants are talked about in detail; their height and figure, weight and size of weapons used by the giants, and even the various tribes (Zamzummims, Anakims, Rephaims) of giants are mentioned as well as the land they resided in. In part 2 of this study, Genesis 6: The “sons of God” (Part 2), we’ll be looking into the early church history behind the viewpoint of fallen angels coming to earth to mingle with mankind and discover that many early church fathers shared the same belief on Genesis 6. 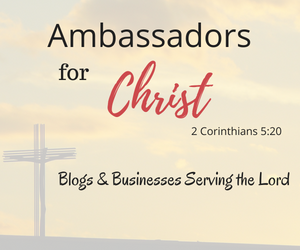 Ayo is a determined blogger striving to use his insights and God given talents to share the Gospel. Through his blog, he aspires to point skeptics of the bible to the truth of the Gospel using apologetics. His goal is to also inform others - both believer and non-believer - regarding the times we're living in preceding the Lord's soon return, through the study of prophecy. He hopes to both inform his readers with facts, equip them with tools to communicate the Gospel, and offer hope and encouragement through God's Word. Hey! I really appreciate this perspective. It’s true – God is often portrayed by others as a dictator throwing a temper tantrum with no value for human life. I appreciate this article and the series you’re doing. God bless you. Thank you! Hoping it can be used to change some previously held notions people have on the Bible. Hope you have a blessed day! I had wondered about the “sons of God” before, but never took the time to research it. Very good insight, thank you. I’m looking forward to your next one. I love this kind of Bible study. If you ever want to collaborate, let me know. 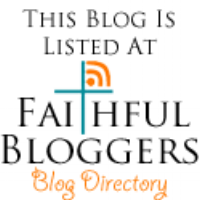 I write about similar topics over at Steppes of Faith (www.steppesoffaith.com). God bless! Thanks for the comment and I’m glad you enjoyed it! That sounds fun, I’ll take a rain check on that. 🙂 I really enjoyed you article “Is all sin the same?” and will definitely be checking out your other articles! Biblical terms must always be read in the context of the passage. In this passage “the sons of God” refers to the genealogies just given. The son’s of God refer to the godly line of believers traced through Adam’s son Seth. The “sons of men” refer to the line of unrighteous decedents of Cain. Eventually the two lines intermarried and both became corrupted. Angels, fallen or not fallen, do not have bodies. They are spirits. On occasion God gives His own angles temporary bodies (Sodom and Gomorrah). But they were temporary bodies. Fallen angels cannot create bodies nor can they create DNA to conceive with women. Only God has the power to create. In several places the Bible calls people “sons of God.” Galatians 4:6 “Because you are sons, God has sent forth the Spirit of His Son into our hearts, crying, ‘Abba! Father! '” Other verses: Hosea 1:10, Romans 8:14, Romans 9:26, Luke 6:35. Thanks for you’re comment. I’m well aware of the Sethite viewpoint and I don’t agree with it. I plan to write an article about this viewpoint as well. Notably, that viewpoint doesn’t answer the question of how 2 human beings from separate lineages, can reproduce producing giants. Also I gave verses in Jude and Peter talking about angels sinning. If we then say that giants came from human beings, those passages are harder to interpret. I was careful and made sure to give scriptural backing and in my 2nd article, you’ll find the history behind this idea as well. It’s my opinion that this is indeed the correct context. Somwthing else I want to add and I want to be careful eith this statement but we can see similar themes of fallen angels or “gods” coming to earth and mating with human woman in mythology and other cultures. Enoch, Jubilees, and Jasher (3 books found among the Qumran scrolls) also attest to this viewpoint. However, I do not bekieve these books to be inspired but at the most they can be historically important. I plan to do my research on all this including the sethite view and presenting my findings. likewise, over 200 cultures around the world have a type of global flood story, many of them similar to the one in the bible. Again, we should always look to the bible for the TRUTH but these findings seem to bolster the biblical narrative and in my opinion should be looked into. So personally my viewpoint on fallen angels mating with human women, producing giants isnt something I believe just because it sounds interesting. I know how silly it can sound to some and aware that some Christians dont agree but the biblical narrative, and historical, and archeological evidence for this view kind of speaks for itself. Thanks for your reply. Sorry I am late to get back. Since you are familiar with Sethite view I don’t feel the need to go deeper. I’ll have to follow you to read what you discover after doing more research. And yes, it does seem something of mythology to say that gods or angels mated with women. But I will say, just because something is written in mythology doesn’t mean it could not be similar to something written in God’s Word. As you pointed out, a flood story exist in many of the worlds cultures. Theologically, I have a problem (as do others who hold the Seth view) with the idea of demons creating and having bodies. We know that they can possess a person, but the body is that person’s body and not the demons. It has human DNA and not demon DNA. I did read the Scriptures you gave and I am familiar with them, but I don’t think those Scripture come close to clearly saying fallen angels had bodies. One can possible read that out of it, but theologians through the centuries have looked at the those scriptures and have interpreted them in different ways. And the question is always there (and I am sure you are familiar with it), if the giant descendants of the fallen angels (the “Nephilim”) were destroyed in the flood, why were they around after the flood? Interesting, thank you. I’m looking forward to the rest of the series!